Providing you with new and used equipment, rentals, thermodes, and support for your hot-bar soldering project. 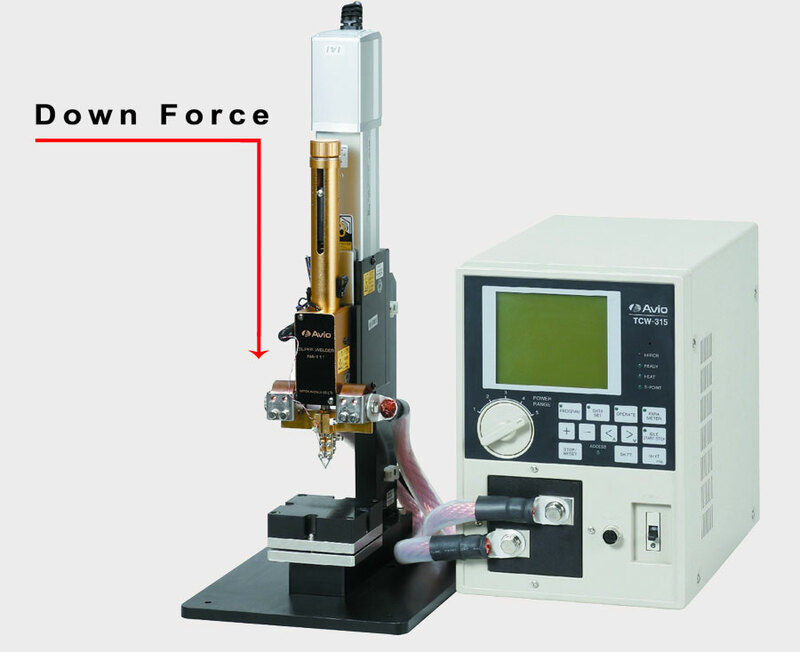 Click Here for Hot-Bar Reflow Soldering Equipment. Advanced Integrated Technologies Inc (AIT) sells and provides technical support for new hot bar reflow soldering machines built by Nippon Avionics ( Avio ). We also offer used rental equipment for some customers. 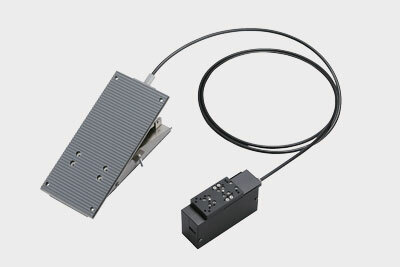 If you are exploring the possibility of using hot bar soldering equipment for your soldering or bonding application, we can evaluate your samples products, and provide assistance in determining the correct equipment for your needs. Unless you are already an expert in this field, we strongly advise that you call or email us and discuss your application. There are many factors to consider in choosing the right equipment. Advanced Integrated Technologies Inc (AIT) is recognized throughout the world as a leading authority on hot-bar soldering equipment, including the manufacturing of hot bars and reflow soldering thermodes. Get the benefit of our 20+ years of experience building hot-bars (thermodes) for Unitek, Hughes, Avio, and many other bonding systems. Advanced Integrated Technologies Inc ( AIT ) assembles and builds systems, tooling, and thermodes for the hot-bar reflow soldering process. We manufacture reflow soldering thermodes (hot-bars) at prices far below that of the original machine manufacturers. 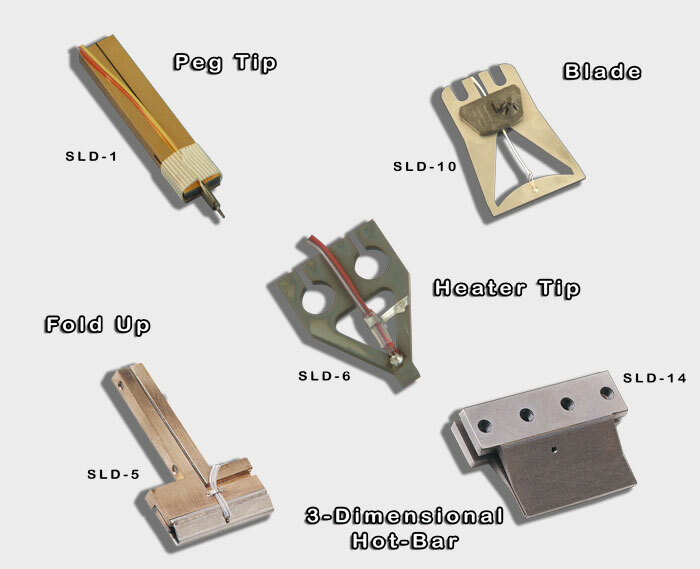 AIT builds tools equivalent to all the Miyachi Unitek thermodes, as well as Nippon Avionics Co., Ltd (Avio), Palomar-Hughes, MacGregor, and Sunstone Engineering. 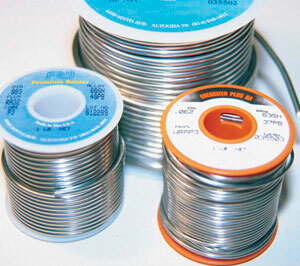 We are the affordable source for thermodes used in all hot bar reflow soldering and ACF bonding applications. If you are trying to cut costs and find affordable thermodes, call us today. 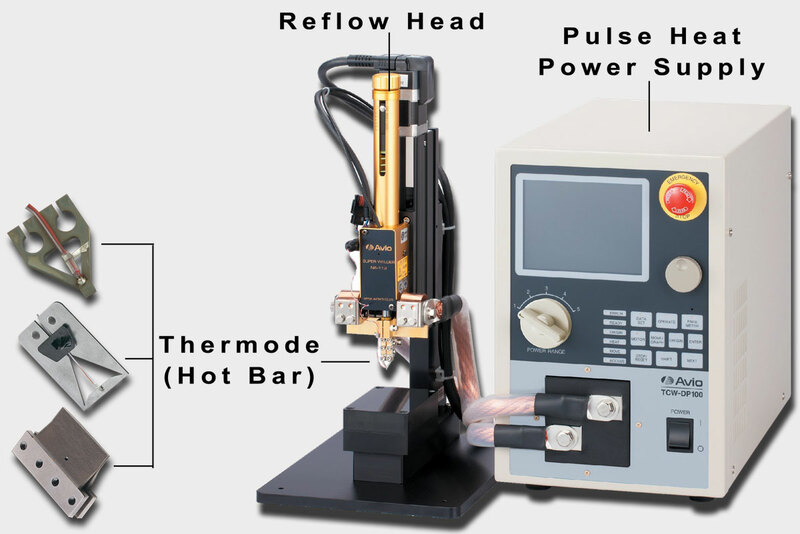 Hot bar reflow soldering is a soldering process where two pre-fluxed solder coated parts are rapidly heated with a thermode to a high enough temperature to cause the solder to flow, and then cooled to re-solidify, forming a bond between the parts. Electrical energy flows through the thermode causing it to heat at the point of highest resistance and melt the solder or adhesive and create the connection. As the electricity flows through the thermode, heat generated is conducted directly to the work piece. Typical hot bar reflow soldering and reflow soldering applications include flexible circuits, ribbon cables, wires, coaxial cables, SMT components, single or dual sided edge connectors, LCD repair and soldering of gold wire. 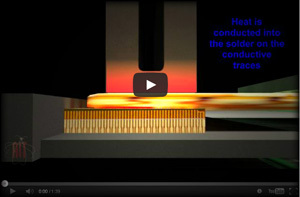 Hot Bar Reflow Soldering is a selective soldering process used to join two solder coated components. 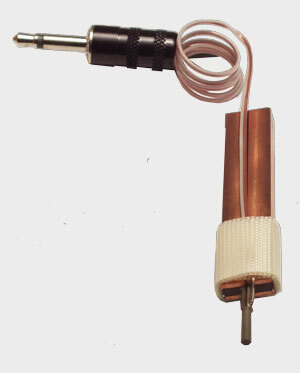 During hot bar soldering, a thermode (hot-bar) is heated to a specific temperature by a pulse heat power supply. 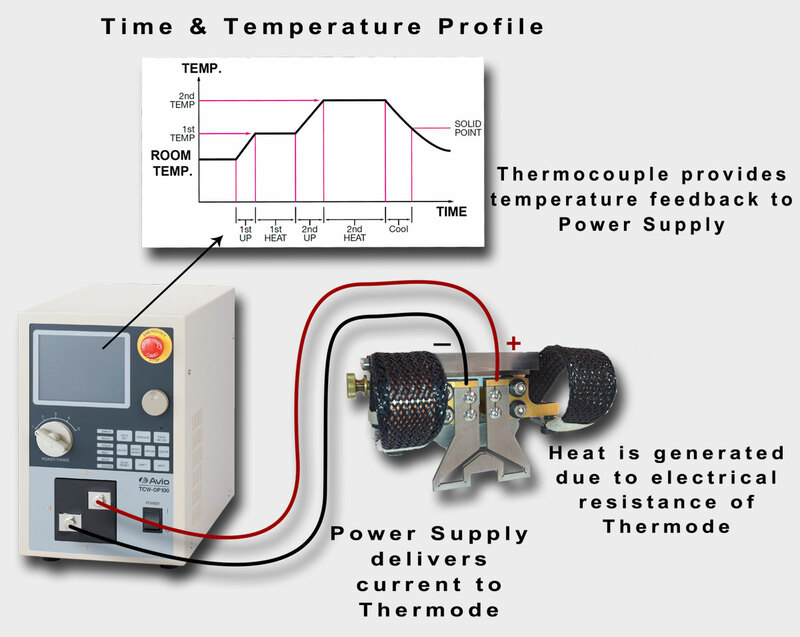 Temperature is controlled by thermocouple feedback. The thermode is then used to apply pressure and heat over a set time period, squeezing the two solder coated components together. The thermode applies sufficient heat to cause the solder to melt and flow, after which the components are cooled under pressure, thereby creating an electro-mechanical bond between the two components. 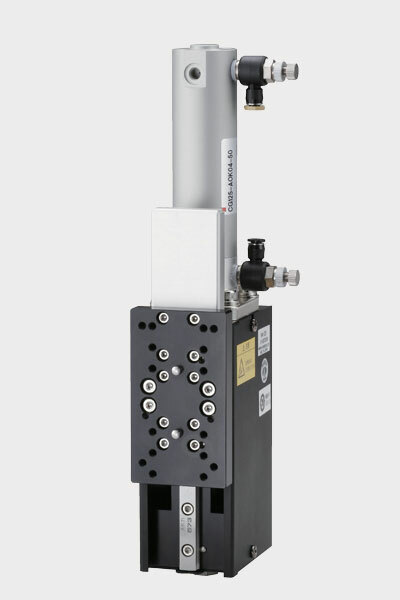 A Thermode is used to apply heat and pressure over a specific time/temperature profile. Temperature feedback is provided via thermocouple. Solder needs to be heated to at least 40 degrees Celsius above melting point for about 2-3 seconds to provide the best wetting and flow. Heat is produced by passing an electrical current through a thermode which is resistive. The force applied transfers the heat to the part and the solder. Flux is used to remove and prevent oxide formation. Routinely remove flux and polyimide residue from thermode using Acetone or Isopropyl Alcohol. Resurface thermode face with 600 grit silicon carbide paper on flat surface at low force or grinding wheel if sufficient material is present. Improper maintenance in cleaning and resurfacing can result in damaged thermovouples and unlevel thermode faces. Use interlayer to reduce contamination of the thermode. Automatic Kapton feeder can auto-advance between bonds. Permacel P-440 Tape can be applied to thermode face and routinely changed. Single Sided Easy to handle. Minimal flux contamination on thermode. Higher thermode temperatures due to thermal barrier. 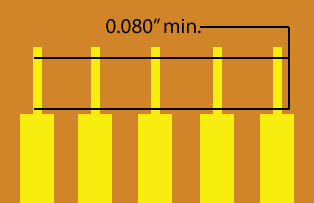 Minimum pitch needs to be.008 inches or 200 microns to avoid short circuits. Open Windowed Lower thermode temperatures. 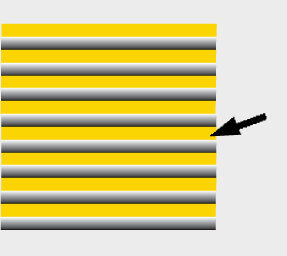 Flux contamination on thermode. 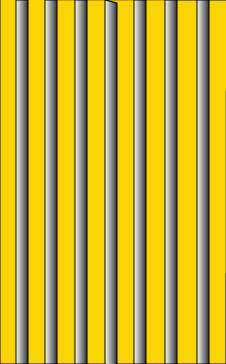 Part alignment is critical. Minimum pad length needs to be .080 inches or 2 mm to allow fillets to form. 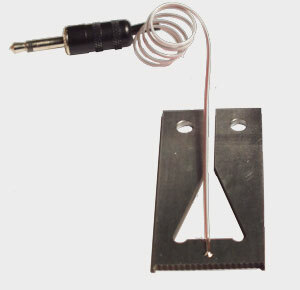 A thermocouple is two wires of dissimilar alloy that are joined into a ball at one end, and open at the other end. Typically the open end is fitted with a plug and the ball end is welded to the thermode near the tip. 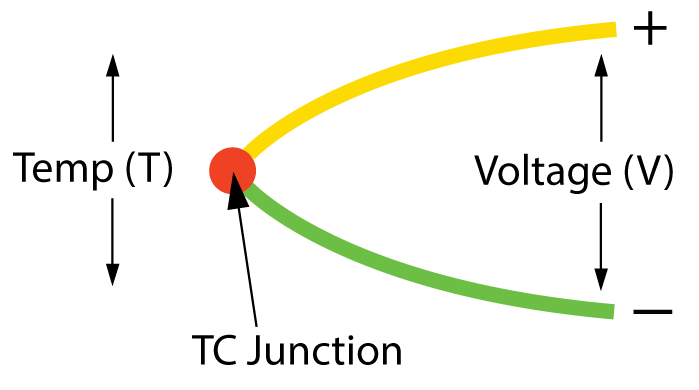 As thermode temperature increases, so does the voltage across the two wires. This changing voltage feeds back a temperature reading, telling the power supply the temperature of the thermode face. This is what allows the power supply to accurately control the thermode temperature. 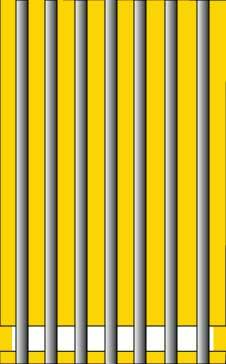 Unequal trace area and plated through holes act as a heat sink, causing uneven heat distribution. 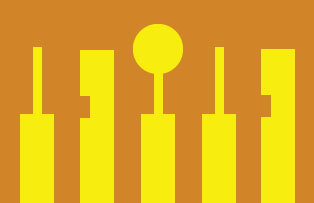 Equal trace sizes (mass) leads to equal heating and better solder joint quality. Minimum .08" wide solder area is recommended. 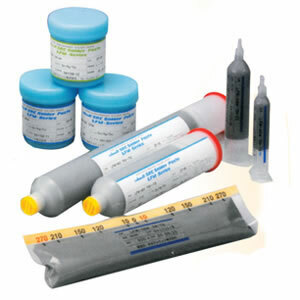 Flux is a chemical agent that assists in the soldering process by removing and preventing oxide formation. 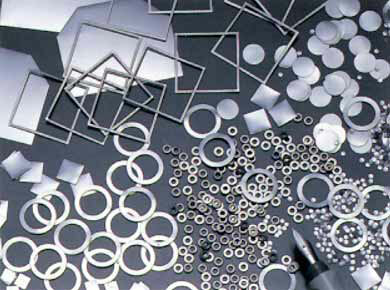 Flux is a catalyst that does not become part of the final metal composition. 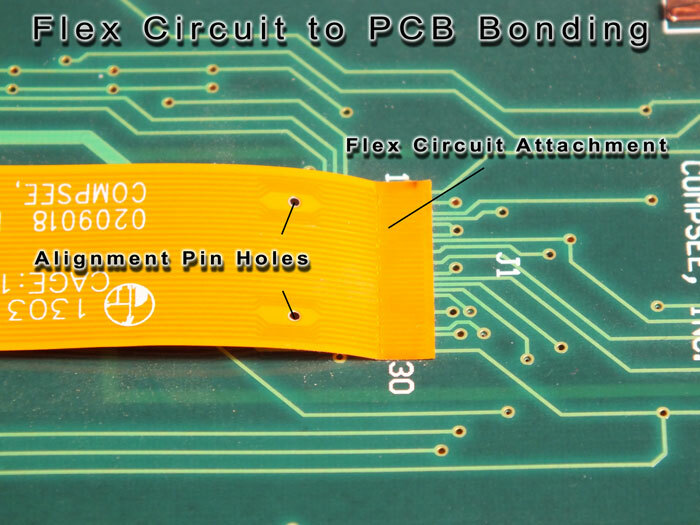 Flux improves the wetting action of solder by lowering the surface tension of the solder. Flux activation or working temperature is an optimum range of temperatures where it chemically reacts with oxidized metal surfaces. The soldering process requires pressure. When a soldering cycle is initiated, the reflow head causes the thermode to travel down into contact with the components to be joined. The amount of down force can be set as desired on the reflow head.